Providing adults and children with comfortable, fun and stylish shoulder, arm, wrist and hand support, which can be easily configured to suit your needs. 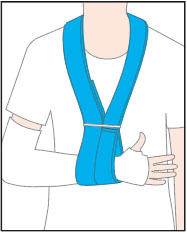 Our versatile range of padded arm slings provide effective, comfortable support for almost any arm or shoulder injury. Available in a range of stylish and colourful designs, our unique collar and cuff arm slings are easy to use and fun to wear. 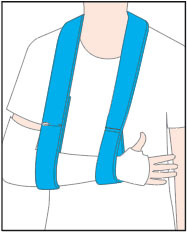 Comfortably immobilises injured shoulders, elbows and wrists. 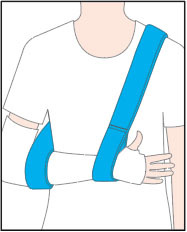 Limits shoulder motion to improve fracture alignment. 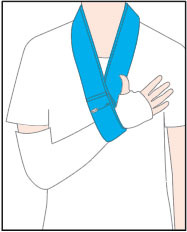 Provides support to the collarbone and upper limb area, ideal for when pressure cannot be put on the elbow. Limits shoulder motion. Provides effect support at the elbow and wrist, without obscuring the affected limb and without applying any force to the injured side. 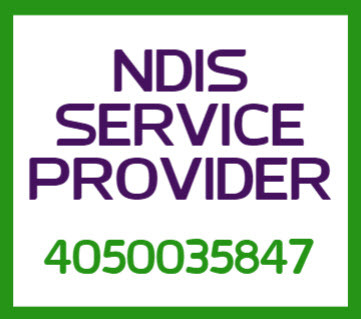 Provides comfortable and effective support to stroke patients or when a person has insufficient muscular return around the shoulder joint. 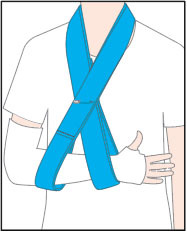 Also known as an upper arm sling, this sling offers elevated support to the upper half of the arm, positioning the hand above heart level.